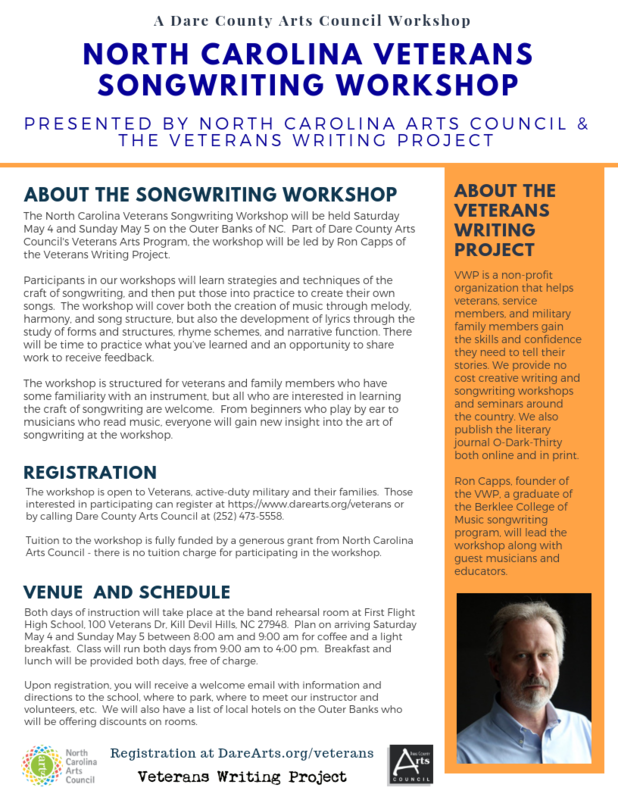 * The North Carolina Veterans Songwriting Workshop will be held on the Outer Banks, NC on May 4-5, 2019. Ron Capps (shown below right), founder of the VWP, will lead the workshop along with guest musicians and educators. * For information regarding "Frequently Asked Questions (FAQ)" concerning the workshop click here or on the below, downloadable file.